EVA Air is among AirlineRatings.com’s Top 20 World’s Safest Airlines for 2019, marking the airline’s sixth year in a row to earn a place among the rating website’s “best of the best” for safety. The safety rating criteria is based on analyses of data from aviation governing bodies, air transport associations, government audits, crash reports, profitability, industry-leading safety initiatives and fleet age, using a seven-star rating system. EVA consistently earns high rankings from AirlineRatings for making safety and quality service its top priorities. 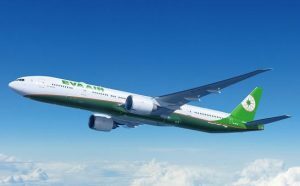 Travelers can learn more about EVA’s award-winning services, its global route system and book flights at www.evaair.com. EVA built its corporate culture with safety at the core and trains all ground and air staff alike to strictly follow guidelines that meet the highest standards. AirlineRatings.com is a global, one-stop airline safety and product rating review website helmed by editors and content curators who are recognized worldwide for their expertise and deep knowledge of the aviation industry. Toidentify the world’s 20 safest airlines, the website monitored 405 carriers and reviewed each one’s performance over the past 10 years. The website’s “best of the best” have all earned AirlineRatings’ maximum seven-star safety rating and met its high standards. EVA excels in flight safety and service, winning awards and honors from organizations around the world year after year. In 2018, AirlineRatings ranked EVA no. 8 among the World’s Top 10 Airlines 2019, as Best Long-Haul Airline Asia/Pacific and as one of the World’s Top 20 Safest Airlines for 2018. EVA also won five TripAdvisor awards, including 5th place in the Top 10 World’s Best Airlines and ranking among the Top 10 Major Airlines in Asia. In addition, EVA has netted SKYTRAX 5-Star Airline status three years in a row and been singled out for World’s Best Airport Services.